Born in Topeka, Kansas on October 28, 1888. M.D. from Kansas City University Medical College in 1911. Graduated from Army Medical School in 1917. Commissioned in the Medical Corps in 1917. Commanding Officer of Station Hospital at Fort Sam Houston July 1941-November 1942. Brigadier General in April 1943. Commanding General of Brooke Medical Center, Fort Sam Houston November 1942-February 1946. 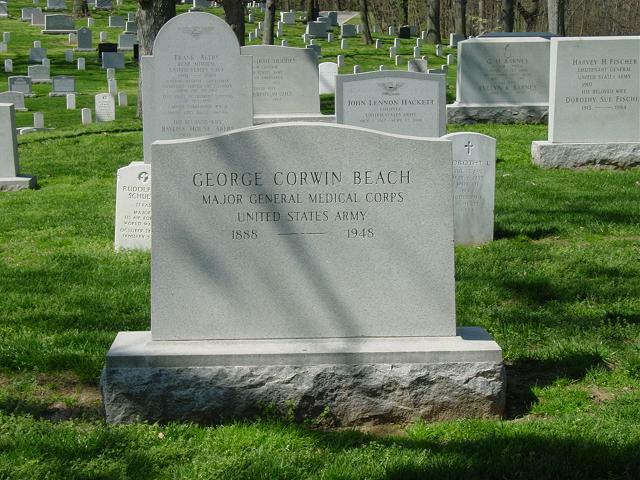 Commanding General of Walter Reed Army Medical Center at the time of his death on November 18, 1948. Decorations included the Distinguished Service Medal and Legion of Merit.